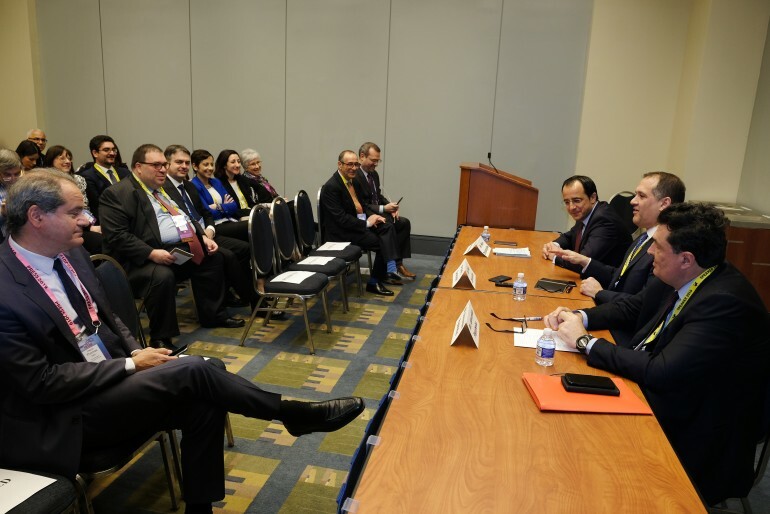 The establishment of a regional organization for security and cooperation in the Middle East is the further step that needs to be taken in the Eastern Mediterranean, Foreign Minister Nicos Christodoulides said, during a panel discussion at the AIPAC (American Israeli Political Action Committee) Convention in Washington, on Monday. The other two panelists were the Executive Editor of Athens daily “Kathimerini” Alexis Papahelas and the Executive Director of the Hellenic American Leadership Council (HALC) Endy Zemenides, who was interviewing them. Before his remarks, Foreign Minister Christodoulides condemned “in the strongest possible terms” Sunday’s attack against Israel. 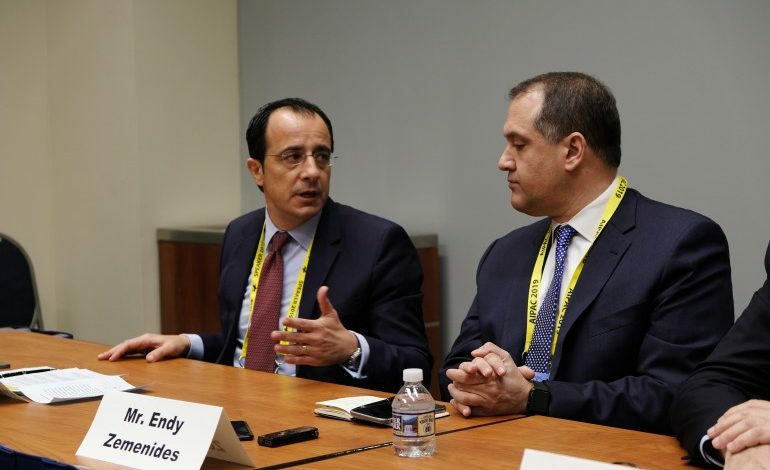 Foreign Minister Christodoulides said that the main pillar of Cyprus’ foreign policy is to enhance its relationship with the neighboring countries, meaning the Middle East and Gulf States. “We are working at two levels. First at bilateral level with all neighboring countries; second at trilateral level, with the trilateral mechanisms we have started with Greece, because we believe that if we work together we can better manage the common challenges of the region and be more effective.”. He added that from energy that was initially the main issue at the trilaterals, now they are also discussing energy security, defense, R&D, health and all issues of concern to the countries in the region. He also expressed satisfaction that France is also interested in participating in the cooperation with Egypt, while Italy is already in the discussion with Cyprus, Greece and Israel on the issue of energy. “We believe we have to take a further step, to institutionalize our partnership and establish a regional cooperation for security and cooperation in the Eastern Mediterranean. It is actually the only region in the world that doesn’t have regional organization. 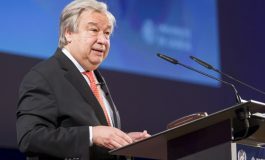 Christodoulides informed the audience of the decision of the Cyprus government to establish a permanent Secretariat for the trilateral mechanisms. “We asked our partners in the region to appoint a diplomat in this Permanent Secretariat, in order to start working together with all countries in the region. 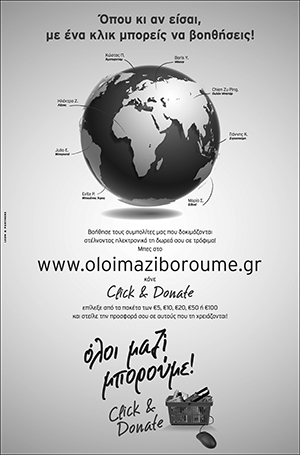 Our long term vision is to develop this Secretariat to an Organization of Regional Cooperation.”. The foreign minister stressed that “we are always working on a positive agenda and we came together not against a third country, but because we believe through our cooperation we can better manage the great challenges of the Eastern Mediterranean. We are pillars of stability, we are predictable countries.”. Christodoulides welcomed the Egyptian initiative to start a Gas Forum, describing it as an example of what we can do if we work together in all areas, not just energy. He said the potential of Eastern Mediterranean to be developed as an alternative energy route to Europe is very important. “That’s why we want all countries in the region to work together and what we want to create is an ‘EastMed Corridor’”, Christodoulides said, expressing satisfaction because what Cyprus was saying five years ago that Energy can play for the region the same role played by steel and coal in post war Europe has been proven right. “Now in our discussions, all neighboring countries see the importance of institutionalizing our cooperation to a regional organization for security and cooperation”. The Cypriot Foreign Minister stressed that no one is excluded from this regional cooperation. 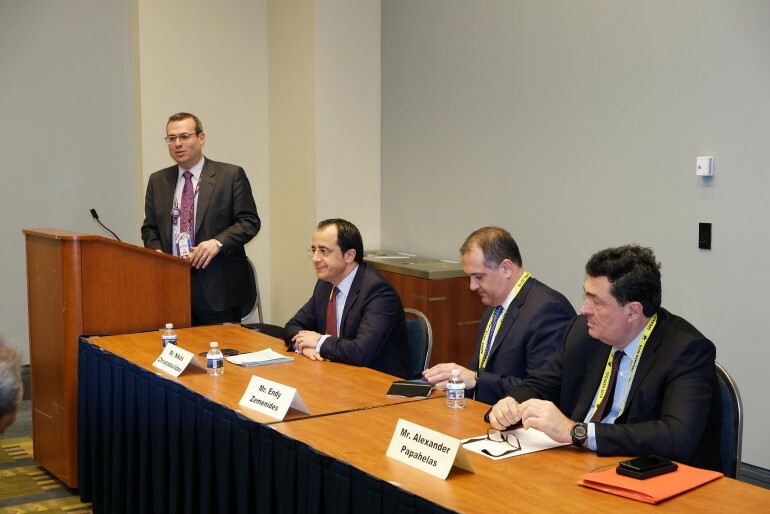 Replying to a question, what more the United States could do to encourage this process, Foreign Minister Chrstodoulides said that from the beginning the Cypriot government tried to change US perception towards Cyprus. “The U.S. administration was approaching Cyprus through the prism of US-Turkey relationship or through the developments in the Cyprus issue. We tried to change this perception and we are very glad that gradually there is a change in Washington. Last November we had the first ever statement of intent with U.S. government, on security issues, something we consider very important in our bilateral relationship”. 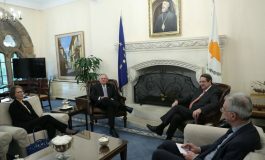 Christodoulides also pointed out that it is important that Cyprus is recognized as a security provider and a pillar of stability in the region and not as security consumer and he welcomed the presence of Secretary Pompeo at the Jerusalem meeting. Speaking about what he sees as the next step, he said that something that was discussed last week in Jerusalem was for the Foreign Ministries of the countries to identify other areas of cooperation besides energy. He also said that at last weeks meeting the issues discussed were energy and maritime security in the Eastern Mediterranean..
“Now we are working to identify more areas, in order for the 3+1 cooperation to be enhanced in areas other than Energy. We want the clear political support of the U.S. government and a clear endorsement of this trilateral cooperation. We really believe that this is also for the benefit of the United States and the EU, and we are glad that we see an increased interest of the US administration for the developments in the region.”. Speaking about the Greek – Israeli relationship, the Executive Editor of “Kathierini” Alexis Papahelas said it’s been a tremendous change. Papahelas said the Greek-Israeli relationship has grown in ways no one was really expected, mentioning the regular military – to military meetings, the use of Greek airspace for Israeli Air Force maneuvers etc. He acknowledged that there are still few speaking about the risks that are taken by Greece (i.e. to become a “target”) but he said in these thing you count both the gains and the cost. Regarding the US role he stressed the importance of having clear signals coming out from the U.S. administration, regarding the policy in the region. He presented the messages sent by the United States to Turkey before EXXON’s drilling as an example of such clear messages. The executive director of HALC Endy Zemenides pointed out that Cyprus was the first EU member state to successfully prosecute a Hezbollah operative and along with Greece and Bulgaria led the charge in the EU to designate its military branch a terrorist organization. He also announced that this week, Senator Bob Menendez and Congressman Ted Deutch will introduce “a very aggressive piece of legislation on the Eastern Mediterranean that is very pro-Israel, pro-Greece and pro-Cyprus.”. Zemenides welcomed the participation of Secretary Pompeo at the trilateral meeting n Jerusalem. He said that at the beginning the U.S. was reluctant about the trilateral meetings, but now they are on board.